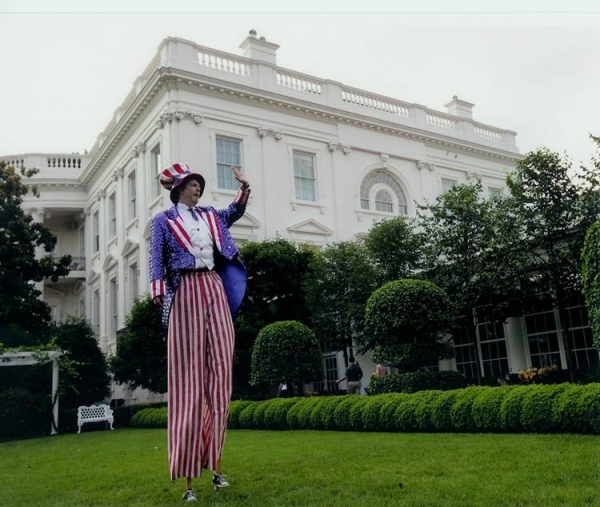 Here is stilt walker Chuck F. at the White House! It's June, and it's high time for the picture-perfect summer bash you've been planning. 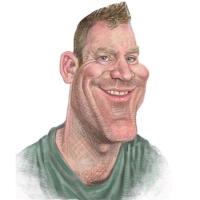 But who can make it picture- perfect like a caricature artist? Who will make that barbecue THE barbecue like a face painter? No one, that's who. And if you're the kind of person who plans ahead, it's never too early! Fourth of July plans are being laid out right now, and what's the 4th of July without a magician or a stilt walker? It's pretty much just fireworks. Save yourself from that and hire About Faces today! It's International Panic Day! No? Don't want to celebrate that? Darn it, I had really thrilling plans too. How about International Picnic Day instead? International Sushi Day? World Jugglers Day? Go Fishing Day? Because you can celebrate every one of these wacky holidays just on June 18th! No? You don't want to host a picnic where you catch and eat the raw fish while everyone is panicking and juggling? Hmm...About Faces could provide some jugglers for you. Think about it. I make people laugh with my caricatures (and arsenal of tried and tested one-liners!) all over the greater New England area. A late bloomer, I started drawing caricatures at my local theme park at age 28. I think learned more about art and business that first summer of caricaturing than in my entire time at art school! There are a lot of "environmental hazards" such as noise, weather, late nights, long drives, dark environments, rowdy party guests, close-talkers with nacho-breath, etc to contend with in this field. I worked a children's birthday party once where one kid threw a pillow at me mid-drawing! I'll tell you the funny more adult stories in person. I never stop learning and trying to be better at what I do. I believe a true artist is basically a perfectionist; we are always looking to improve our craft. For me, "the craft" includes not just my artwork, but also how I relate to my clients and subjects. I want you to relax and have fun so I can too! You're done reading -- it's time to book! Call 1-800-92-FUNNY or email us today, and make your guests smile.